We are the right option for you in case you have had any kind of difficulty with the acceptance of your foreign degree by USCIS. Our experts are available to help you gain your I-140 or H1-B visa. With our specialists, you will always have the best chance of success with your evaluations. If you have a 3-year diploma degree from any other country other than the US, your credentials might still be evaluated and can be equivalent to a 4 year degree in the US. So, you should call us and let us know about the status of your application. That means, your I-140 visa will require a single degree evaluation and any combination of working experience and diploma degree won’t be accepted. We have specialists who can help you with your case. Your 3-year diploma degree can be shown equivalent to a 4-year US bachelor’s degree by performing the coursewise evaluation along with a thoroughly explained evaluation report and an opinion letter from an expert. Since the university education system in India was established by the British, the 3-year bachelor’s degree in India is quite identical to that in the UK. Although USCIS always accepts the 3-year degree from the UK, the same degree from many other countries are not accepted by them till now. Clients who took our evaluation services, provided us very good feedbacks by mentioning about their acceptance of foreign credential evaluations. We, however doesn’t give a 100% guarantee to any evaluation case. We do, however guarantee that with us you will get the highest chance of getting your credentials accepted. Upon the successful demonstration of your academic records (including a US equivalent diploma in high school and a bachelor’s degree), your credentials will be equivalent to a US bachelor’s degree. 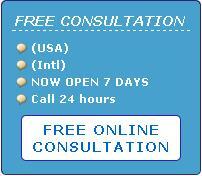 As a result, you will be a strong applicant for the immigration visa. Some 3-year degrees (including 12 years of primary and high school education) like the Bologna Project are accepted for the immigration visa as they are considered to be the US equivalent of a bachelor’s degree. We can use your completed years of study on a second bachelor’s degree, master’s degree or any other studies in case you don’t possess the above educational credentials. We can also use these credentials to make them US equivalent of a bachelor’s degree even if you have not yet completed your degree. (N.B: the USCIS doesn’t accept any course work or diploma from private institutes if they are not associated with an accredited university or recognized by the government). To make up the missing years of your study, we use your education and work experience. We do this by our international professors who include expert opinion letters. Click here if you want to apply for the TN visa. You can check the status of your green card draw of DV-2010 in online (from the E-DV site) until 30th June, 2010.